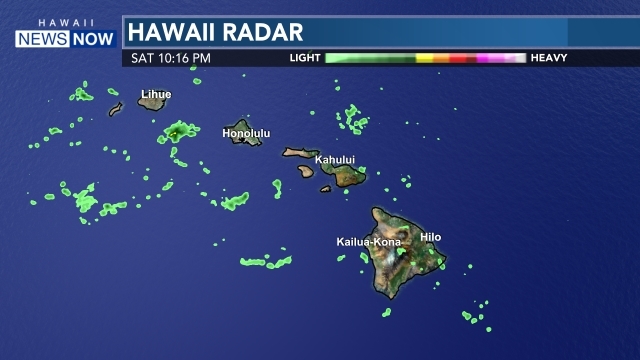 A dry and stable air mass is parked over the islands for the next few days as a cold front stalls just to the north, with light winds and very little in the way of rain expected. A cold front is forecast to arrive on Friday, with showers expected Friday night into Saturday morning, followed by cooler and drier north-northeast winds. At the beach, we’ve got an increasing northwest swell that will push surf up to advisory levels Wednesday through most of the rest of the week. A large reinforcing swel could result in warning-level waves Friday night and Saturday. For now, no marine warnings are posted.